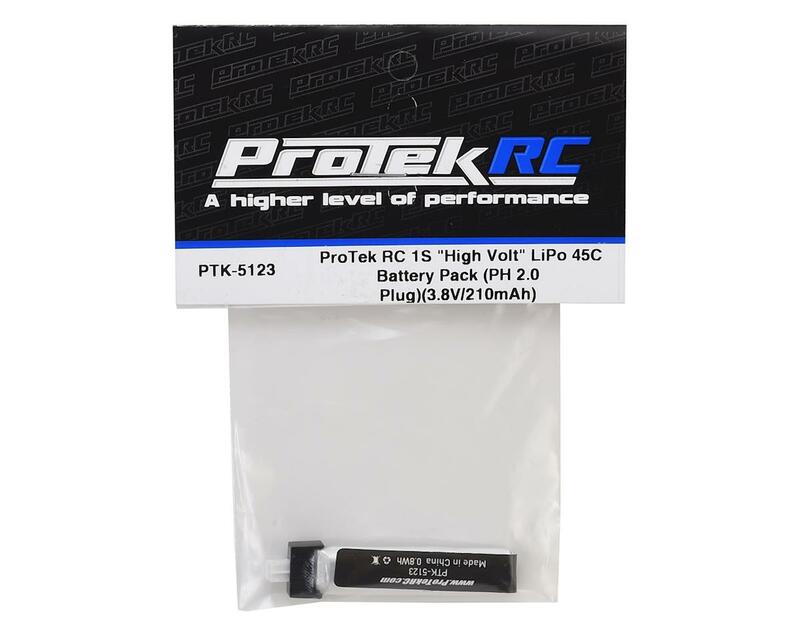 The ProTek R/C 1S "High Volt" 210mAh, 45C Micro Lithium Polymer battery is a must have accessory for your Inductrix, TinyFPV, or Inductrix FPV. This pack will fit any micro application that is compatible with the E-flite EFLB1501S25 LiPo battery, but will deliver better overall performance thanks to 45C current and 210mAh capacity. This means more power and improved flight time! Our testing has shown that when used with the Blade Inductrix with TinyFPV Mod, this battery will provide approximately 4:30 minutes of flight. 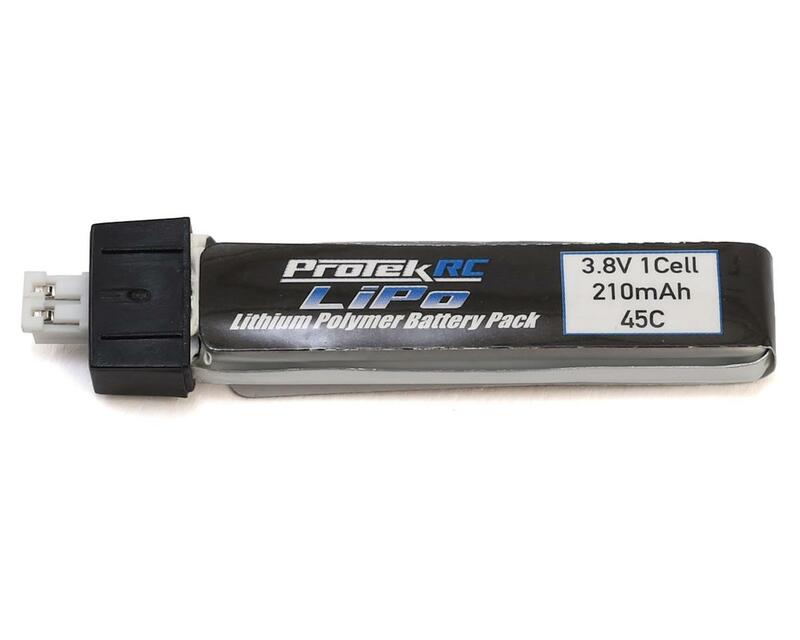 When used with the Blade Inductrix FPV, this battery will provide an average 1 minute increase in flight time (approx. 3:20 minutes of flight), compared to the stock Blade Inductrix FPV battery. Flight times are dependent on flying style and how aggressive the pilot flies. Casual pilots may experience longer flight times, but long full throttle runs and high speed flight will reduce flight time.